The first verdicts are in from Los Angeles on the looks of the reborn Fiat 124 Spider – and we reckon it’s a cracker. With an all-new body, design cues and details that recall the Pininfarina-designed original, all-Italian engines and a manual ‘box, this simple two-seat rear-wheel-drive roadster marks a welcome sports car return for Fiat. The fact that it shares a platform with our favourite affordable sports car, the Mazda MX-5 in its brilliant latest incarnation, is, we reckon, a bonus. But does it show that it’s an MX5 under the new Italian skin? We’ll let you judge that. What we love about it is the front end, with its almost-round headlights and a leading bonnet edge that thrusts forward in a satisfying, 1960s, Pininfarina sort of way. We like too the power bulges on the bonnet – just like the original car – and the aluminium windscreen surround, while the overall proportions appear just right (as indeed they are in the Mazda). We look forward to seeing the European version and what options Fiat will offer to Italianise the cabin, which in US LA Show launch form is clearly MX5-derived. While that’s good news in terms of room, comfort, ergonomics and – best of all perhaps – the most brilliantly simple hood arrangement, some may well be looking for a little more Latin character. Fiat will be sure to oblige. Mechanical details are yet to be confirmed but the engines will all be Fiat units (or Abarth, in a yet-to-be-confirmed hot version still to be unveiled). In launch form the car will likely be powered by Fiat’s 140hp 1.4-litre turbo with six-speed manual transmission. 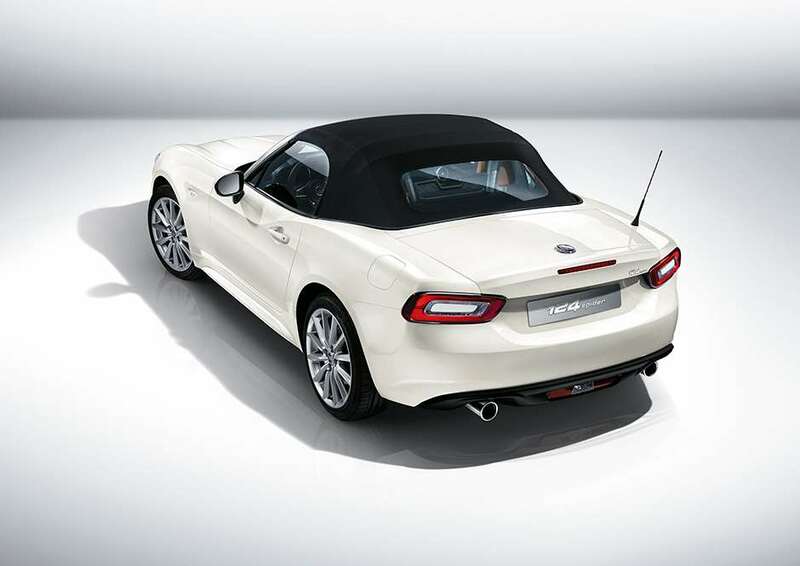 Fiat’s new 124 Spider should go on sale in the UK around Revival time next September. That will be 50 years since the Pininfarina designed and built 124 Sport Spider first appeared in 1966.